Geri Martinez is the newly appointed principal of Christ the King H.S., Middle Village. “After a thorough review of highly qualified candidates, we at Christ the King are pleased to announce the appointment of Ms. Geri Martinez as Principal,” said Serphin R. Maltese, chairman of the Christ the King’s Board of Trustees. Martinez has many years of experience in Catholic education. She began her career at the now-closed Stella Maris H.S., Rockaway Park, as a guidance counselor, and later served as assistant principal. She then became principal of Stella Maris, a role she enjoyed for 14 years. After Stella Maris closed, she served as assistant principal at Bishop Kearney H.S., Bensonhurst, and most recently, served as interim principal. 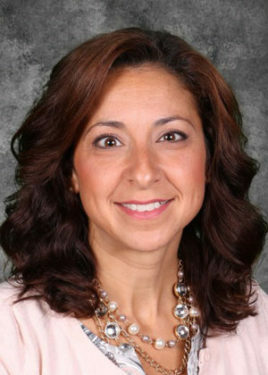 Martinez holds a degree in school counseling and NYS certification in administration and supervision. She has also been teaching at St. Joseph’s College for over 16 years and serves on a host of educational and Catholic affiliated organizations. Allison McGinnis begins her tenure as the 11th principal of St. Edmund Prep H.S., Sheepshead Bay, when school gets underway in September. She succeeds John Lorenzetti, who retired in June after serving 22 years as St. Edmund’s principal, and devoting 48 years to Catholic education. McGinnis is a graduate of St. Saviour H.S, and earned her bachelor’s degree in secondary education with a concentration in social studies from St. John’s University in 1999. She continued her education at Brooklyn College where she completed her master’s in secondary education/social studies in 2003 and completed the School Building Leader Advanced Certificate Program at St. John’s University in 2013. She has worked in education for the last 18 years, beginning her teaching career at Christ the King R.H.S. in 1999 and joined the faculty at St. Edmund Prep in 2003. She served as summer school principal in 2005 and assumed the role of assistant principal that same year. McGinnis became the academic dean at St. Edmund in 2008, and with the expansion of the Prep’s administrative structure in 2011 she was named the assistant principal for academic affairs. 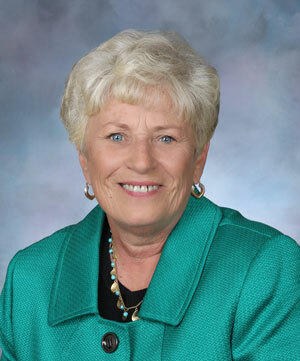 McGinnis also serves as a member of the board of directors of Good Shepherd Catholic Academy. She lives in Marine Park and is a member of Good Shepherd parish with her husband Roy, and two sons, Gavin and Ethan. Earlier this spring, Dr. Margaret Lacey-Berman was named as head of school at Bishop Kearney H.S., Bensonhurst. She holds a doctorate in educational leadership and a master’s in business management. An alumna of Our Lady of Perpetual Help H.S., Sunset Park, Dr. Lacey-Berman began her educational career as a teacher and actually taught for three years at Bishop Kearney. She was an assistant principal at Fort Hamilton H.S., where she was recognized as a mentor and responsible for training teachers aspiring to become assistant principals. Her then became the youth development manager for Brooklyn and Staten Island high schools, responsible for guidance, areas of student need and community-based partnerships. As principal of the Brooklyn High School of the Arts, she enabled enrollment to double and initiated programs that led to the school being named a Tony Bennett Partner School. Most recently, she served as a principal coaching fellow for the NYC Office of Leadership. In this position she coached first-year principals, meeting their diverse needs, accessing services for their schools and holding the importance of a strong vision for the school’s future.